Bristol’s target of becoming carbon neutral by 2050 is one step nearer with the introduction of new electric vehicle (EV) charging points and converting part of the council’s fleet to electric. Using £2million of grant money provided by Office of Low Emission Vehicles (OLEV) through the Go Ultra Low West project, Bristol City Council will be adding 120 new public charge points across the West of England area. Seven electric Peugeot Partner vans will be used by various council departments such as repairs and maintenance, Parks and Estates and the Records Office. 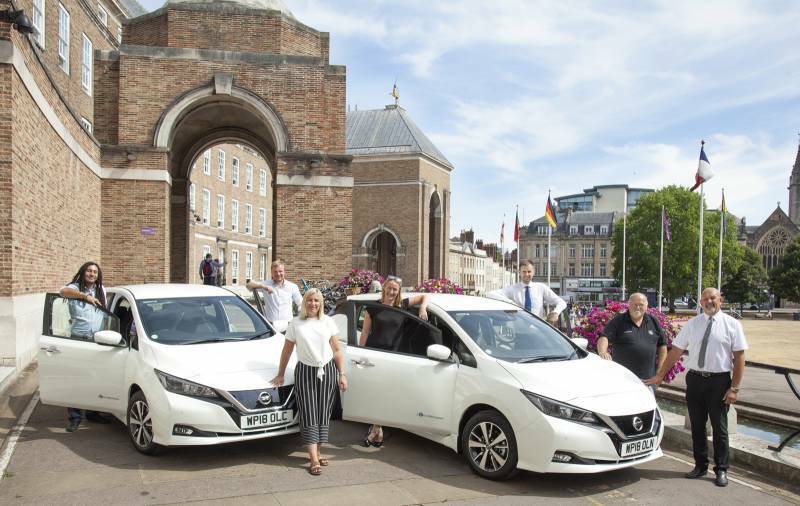 In addition the council’s Parking Services team are taking delivery of six Nissan Leaf Zero Emission cars to use in and around central Bristol. The Council aims to have at least 10% of its fleet made up of Electric Vehicles by 2021. Cllr Kye Dudd, Cabinet Member for Energy, Waste and Regulatory Services said: “These are good forward steps on our journey to becoming a carbon neutral city by 2050 and a big boost for those in Bristol wanting to adopt electric vehicles. Across the city in both business and private use, we’re seeing a rise in electric vehicle take up so we will continue to look at ways in which we can support this growing trend. The first set of OLEV-funded ‘pilot’ charge points have already been installed for use by car club vehicles and will be ready for use later this year. Public charge points will also be installed later this year at various locations across Bristol, with many more locations to follow over the next three years.